American Heritage of South Jordan, a pre-kindergarten through 12th-grade private school, was founded in January 2005, and located in a former elementary building in South Jordan, Utah. We opened with five teachers and fewer than 50 students. Many new developments have been implemented over the years, including location, curriculum, and leadership. We now have over 250 students, 25 full-time employees, four part-time employees, and over 250 volunteers. American Heritage of South Jordan is one of two private schools located in the city of South Jordan, however, the other is a specialized behavioral school. We enroll students from around the Salt Lake Valley, but also have students traveling from Utah County and Davis County. 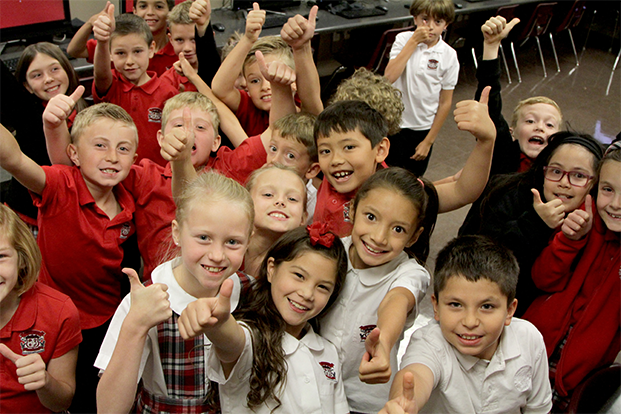 As a classic American Christian school, our focus is on the child. Our goal is to give each student an education that focuses on leadership and character, rather than a “conveyor belt” education where all students are taught and moved through the system in the same way. We strive to teach the child how to think rather than what or when to think. We recognize that our students, your children, are the future leaders in their homes and communities, entrepreneurs in business, and statesmen in government.